World class musicians performing and teaching in Galloway. Rachel Newton went on to win the BBC Radio 2 Folk Award for Best Musician in 2017. Newton Stewart & Minnigaff Traditional Music & Dance Festival was founded by Nathon Jones and his family in 2014. The idea took shape at one of the regular garden and music parties at their home in Minnigaff in 2013.  Frustrated by the lack of traditional music opportunities and arts programming in Wigtownshire, South West Scotland, combined with a desire to engage more people in traditional music learning and performing led to the inaugural event in 2014. Another year, another name change :) and Newton Stewart & Minnigaff Traditional Music & Dance Festival was ready to celebrate it's 5th anniversary at what was shaping up to be one of the most ambitious events yet. A new programme of official Scottish Highland dancing competitions, running all day on the Saturday, another outstanding musical line-up including the legendary Andy Irvine himself and continued support and backing from D&G Council's Major Events Strategic Fund and The Holywood Trust. Now acknowledged as a significant cultural event, of note, in Wigtownshire and the subsequent positive economic impact it was having in the region, funding was secured from D&G Council's Major Events Strategic Fund, Big Lottery's Awards For All and The Galloway Association of Glasgow along with continued and new local and national sponsorship; 2017 delivered 5 concerts, 7 music workshops, 1 language workshop, tune and song sessions, film making and photography workshops and mentoring. An award of £3,000 from D&G Council's Regional Arts Fund plus new funding awards from The Holywood Trust and The Galloway Association of Glasgow, combined with continued support from local and national sponsors, helped deliver 5 concerts, 9 traditional music workshops, 1 language workshop, a cinema experience, pipe band and highland dancing performances, tune and song writing competitions, instrument makers, tune and song sessions; it was another packed programme of events over 3 days. Newton Stewart & Minnigaff Traditional Music Festival, as it was now called, secured £2,500 funding from Dumfries & Galloway Council's Regional Arts Fund in 2015 along with new local and national sponsorship and partners. The programme expanded to feature 2 concerts, 6 traditional music workshops, tune & song writing competitions, tune & song sessions and award nominated and award winning, world famous, traditional musicians including the unforgettable Máirtín O'Connor Band. The first official Newton Stewart Traditional & Acoustic Music Festival, as it was known then, delivered 4 concerts, 3 traditional music workshops, pipe band performance, tune and song sessions at venues throughout Newton Stewart & Minnigaff over 2 days and featured BBC Radio Scotland's Young Traditional Musician of Year 2014, local singer Robyn Stapleton, as well as the Citty Finlayson Scots Singer of Year 2013, Siobhan Miller, and Scottish duo Ross Couper & Tom Oakes. The Jones family are well known for days/nights of music, songs and the craic' and in 2013 we had another fantastic get together with friends, family and neighbours. Frustrated by the lack of traditional music opportunities and arts programming in Wigtownshire, combined with a desire to engage more people in traditional music learning, composing and performing, it was at events like this that the idea to create a music festival began to take shape.